Michelle Singletary’s nationally syndicated personal finance column appears in about 100 newspapers across the country, but that’s not the most impressive thing about her – it’s that she practices what she preaches. She lives well beneath her means and constantly reevaluates her own spending using tools like financial fasts. And recently, she wrote a book about exactly that. “The 21 Day Financial Fast” details a three-week program designed to help individuals figure out what are spending necessities and what aren’t. If an expense isn’t necessary, you’re not allowed to make the purchase until the fast is over. The other purpose of the fast is to incorporate charitable giving, especially to one’s church. In fact, much of the book is biblically based. But you don’t have to be Christian to benefit from Singletary’s book. I asked Michelle six questions about spending, financial philosophy, and ways we can all make positive financial changes for ourselves and our communities. Question 1: Do you think individuals are entitled to certain rewards? Singletary's philosophy is that you should wait to reward yourself when you’re not in debt. For example, you don’t need a vacation if you have debt. However, small luxuries are OK in some instances, after the financial fast. If something keeps you sane, you should build it into your budget for when the fast is over, Singletary says. For instance, you could budget for your daily coffee fix. But don’t plan to go out for lunches, too. Prioritize. Question 2: Can you leave your house and have fun? What do you do if you’re going out to network or socialize? 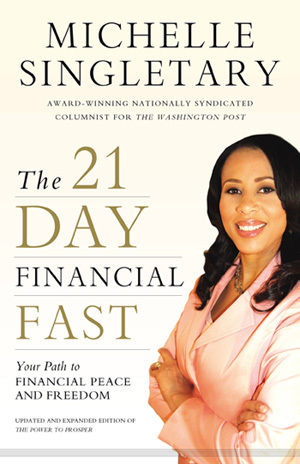 During the fast, you have to eliminate any expense that is not a necessity, says Singletary. It’s not that hard – remember, this is just for 21 days. Evaluate which events are really important. Meet someone in their office for business meetings instead of going out for lunch, and after work, you can find inexpensive ways to mingle, such as ordering a soda instead of alcohol. “Don’t pretend you can afford what you can’t,” Singletary says. Question 3: How important is it to have a bare bones budget? Question 4: How do individuals who were recently divorced or separated adapt to finances for a single person? “Live by your financial values,” says Singletary. “These values should be followed no matter what your marital status is.” When you enter a new relationship, you should take your financial values with you, too. Question 5: When should you help your friends and family financially? “When you have your own debt paid off, and they’re using the money in a productive way,” says Singletary. For example, do help temporarily with groceries, or if you can afford to, help with a down payment on a home. Don’t give money for unnecessary expenses. And always give without the expectation of getting the money back. Giving within your personal community can even be an item in your budget. The budgetary amount may be a percentage of income, such as one or two percent, or a set amount. Question 6: When was the last time that you did the 21-day financial fast? “I do it every year,” Singletary says. This year, she used the fast to make healthier food choices at home and on the road. She now eats more fruits and veggies and watches what she eats late at night. Are you going to take a financial fast this year? If so, what are your goals? Disclaimer: Nothing contained on this website is intended to constitute professional advice, including but not limited to, medical, legal, or financial advice. All information are provided "as is" without warranty of any kind. Views expressed here do not necessarily represent the views of this website or its employees, contractors, users, or sponsors. 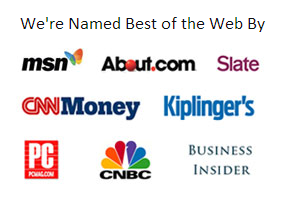 Reyna is Wise Bread's student loans expert and a regular contributor to U.S. News & World Report. Her financial advice has been quoted by Money Magazine, Real Simple, and The Washington Post. See full bio. Nothing contained on this website is intended to constitute professional advice, including but not limited to, medical, legal, or financial advice. All information are provided "as is" without warranty of any kind. Views expressed here do not necessarily represent the views of this website or it's employees, contractors, users, or sponsors.